Born in Paris just before Christmas in 1910 to a young prostitute, Genet spent only a year with his mother before being adopted by a carpenter and his wife. The couple took him into their home in a small town in central France and raised him alongside their children, and, although later in his life Genet spoke and wrote extensively (and possible exaggeratedly) about the severe poverty and deprivation of his childhood, the family is believed to have been supportive of him as a child. Despite doing well at school, he showed a rebellious nature from an early age, getting into fights, committing petty theft and often running away. At the age of 13, Genet moved to a new foster family after the death of his adoptive mother, but he lasted less than two years in the new arrangement. After repeatedly going out at night (apparently often wearing make up) and committing small criminal acts, Genet was sent to the Mettray Penal Colony, a progressive institution for young male delinquents, where he remained for more than two years. He left the penal system when he turned 18 and joined the Foreign Legion, where he remained until his mid-20s when he was dishonourably discharged after being caught performing a homosexual act. Following his expulsion from the legion, Genet went through a deeply troubled period living across Europe, with adventures punctuated with stints in prison on petty theft and prostitution charges. It was during this period that Genet began to write, initially poetry before moving to plays and novels, and he sought out some of the most famous and well-respected literary figures of the time as mentors. He quickly became known and highly regarded in literary and artistic circles in Paris. Jean Cocteau was struck by Genet's work and in 1949 joined with some of his compatriots including Jean Paul Sartre and Pablo Picasso in protest against a death sentence with which Genet was threatened after a succession of smaller charges mounted up. The petition was successful and marked a turning point in Genet's life, as from this time he never again returned to jail but wholeheartedly embraced life as a writer. By this time, Genet had a well-established reputation and had written several novels and plays, including The Maids, which opened at the Théâtre de l'Athénée in Paris in 1947. Genet drew heavily on his own life experiences in his work, often openly portraying homosexuality, violence and criminality, which lead to his work being banned in the US in the early 1950s. Despite this, he was a prolific writer and produced many plays and novels, as well as scores of essays ranging in topic from art to politics. 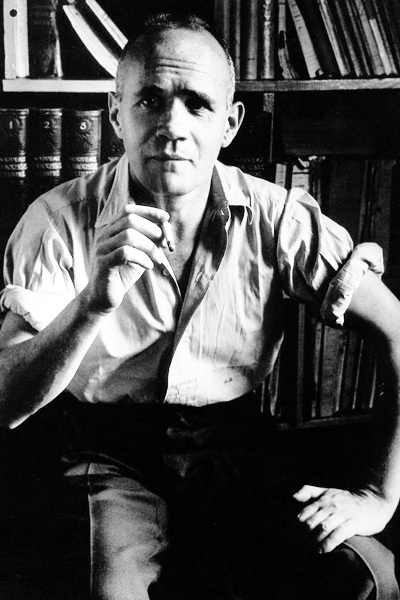 From the 1960s until his death in 1986 from a fall in a hotel room in Paris, Genet was passionately political and highly active in promoting his chosen causes. He travelled widely during this time, visiting the Black Panthers in the US and Palestinian refugee camps, but also supported causes closer to home such as police brutality in French prisons. The Maids, Sydney Theatre, 4 June - 20 July, 2013.